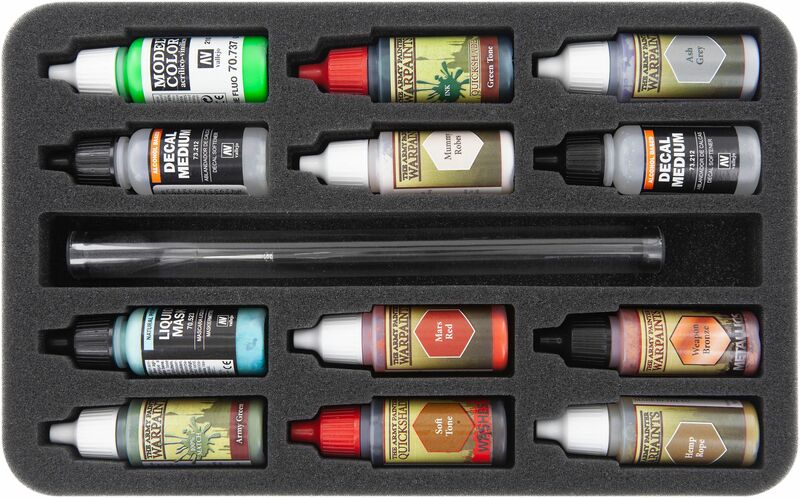 You have stowed your miniatures safely and neatly, only the colors and your modelling tools are still lying around? You need a mobile solution to safely transport your paints, brushes and tools? Luckily, we have the solution to your problem. Because with this solid bag, filled with suitable inserts, you always have an overview of your hobby supplies and always have brushes, paint bottles and tools with you. 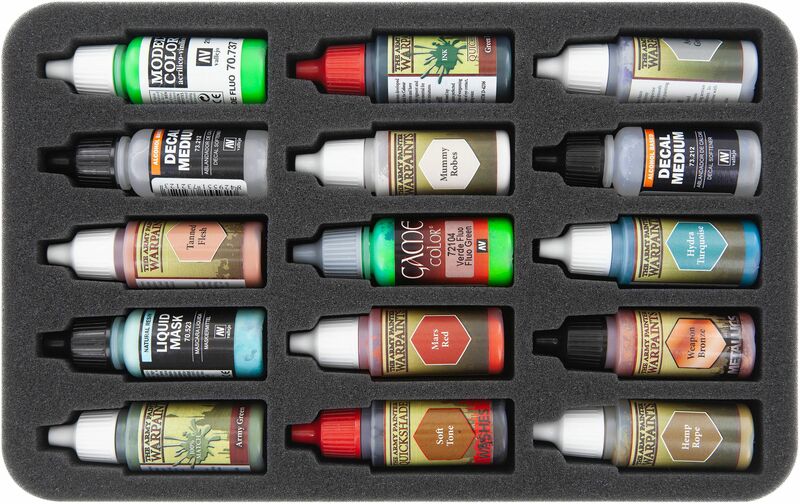 A total of 32 compartments are designed for standard Vallejo or Army Painter bottles. Of course it will hold same-sized bottles of other brands, as well. The oblong compartment of the insert for 12 bottles holds several brushes, e.g. up to four Windsor & Newton brushes in tubes. 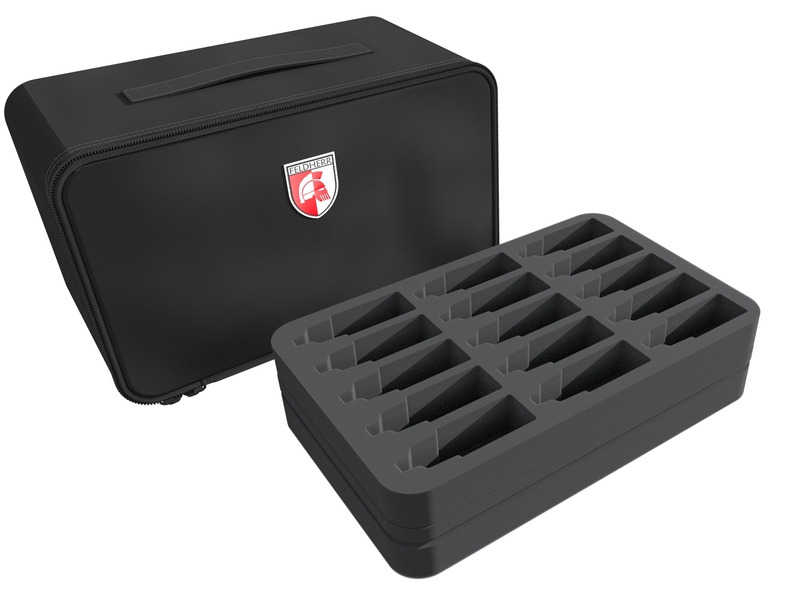 For your tools, such as clippers, knives, glue and tweezers, the set includes a raster foam tray, which you can customize individually to your needs. 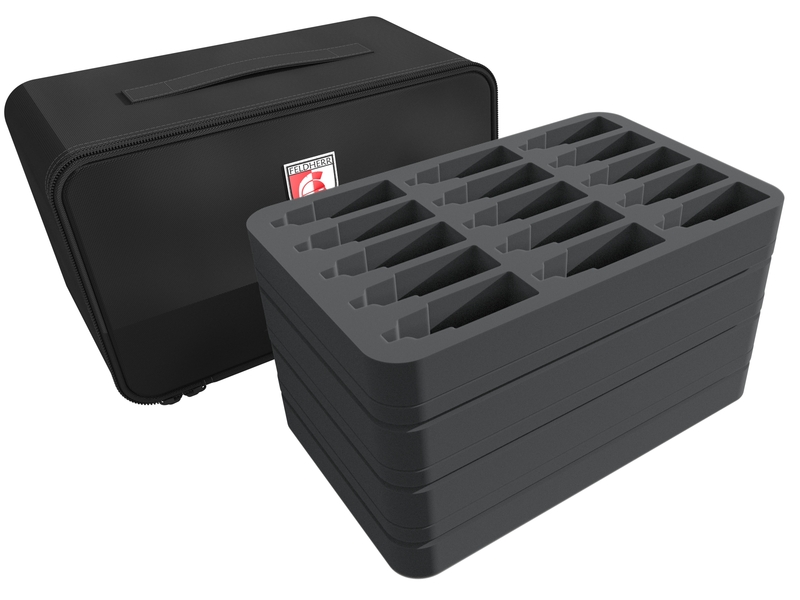 The perforated 14 mm x 14 mm grid makes it easy to model compartments specifically for your own tools. The mat has a self-adhesive underside. Simply peel off the foil and stick the foam base which is included in this set. 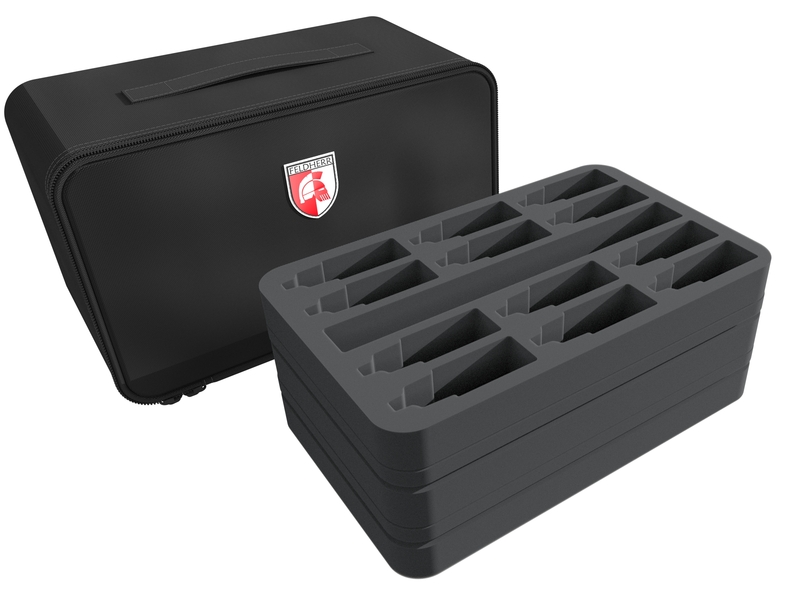 Thereby you design your own mat with 25 mm deep compartments (e.g. suitable for Army Painter glue bottles) simply by yourself. 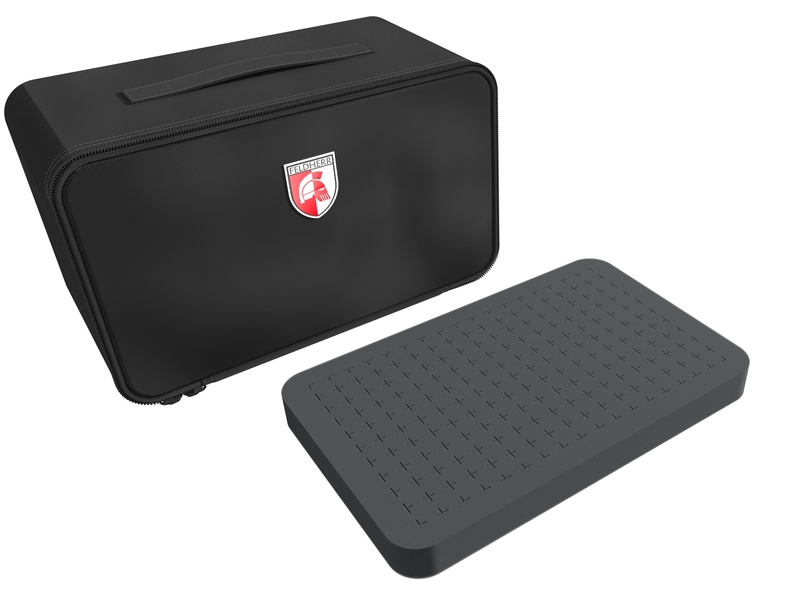 The Pick and Pluck foam mat measures: 275 mm x 172 mm x 25 mm height. A matching foam topper completes the set. Your paints, brushes and tools are hereby clearly arranged and always ready to travel. 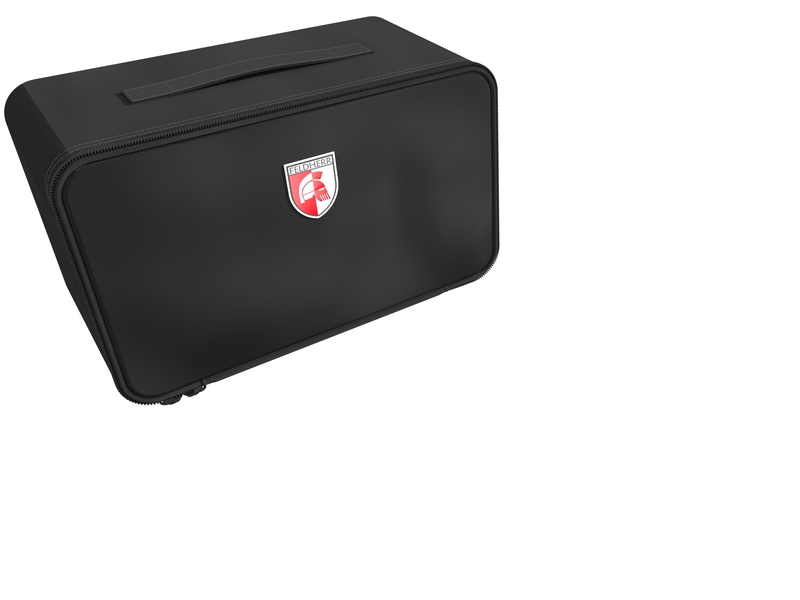 The Feldherr MINI PLUS bag is made of particularly robust fabric and ensures that its contents are optimally protected from external influences. There is a carrying handle on the top of the bag. A meshed pocket with a zipper on the inside offers additional space for small items, writing materials or cloths. One window pocket on the outside of the bag can hold an insertion card where you can write down your name or the contents.